Gnosis means spiritual knowledge. Gnosis Medical Yoga is a confluence of Ancient Indian Wisdom with Modern Medicine. Pathway of Yogic Health Science begins with knowledge of our body, sense organs, mind, intellect & our action or response. Once we gain knowledge, next step is observation in our body during day and night, moment to moment, for 24 hours. This observation helps us to develop awareness. Awareness is conscious cerebral activity. Our day to day activity is mostly controlled at Spinal cord, Brain Stem, Cerebellum, Limbic System Level. This ability of awareness slowly makes us understand the relationship of sensory inputs and our reactions or responses. This power of awareness helps us to deal with many dys-functional disorders in the form of psychosomatic diseases occurring in our body. We offer individualized programme for fitness/Helth depending upon the working pattern & personality traits. 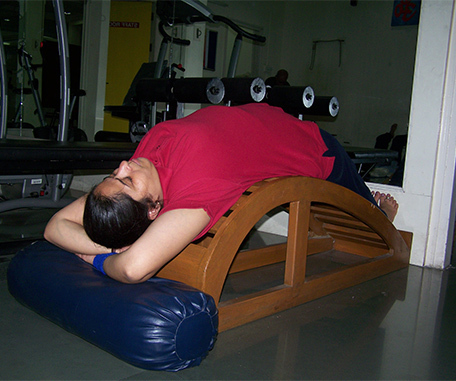 Yogateacher Certificate Course is a basic course in Yogic Health Science. It offers the study of human body and function with basic concepts of Ashtang Yoga in day today life. 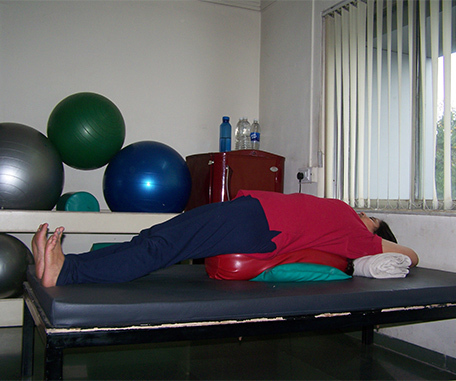 We offer Medical Yogatherapy for Life style diseases & disorders, in psychosomatic & musculoskeletal fields. Medical Yogatheraphy Course is conducted for Doctors and Yogateachers for theraputic application of Yogic Health Science. After diagnosing the case, Yogic care offers help for healing. Promotion of Yogic Health Science in conservative management of medical care is the aim of Gnosis Medical Yoga.